It all started in 1997. Four families in Victoria, BC came together with the idea of improving the lives of disadvantaged farmers through trade. They were inspired by groups like Ten Thousand Villages and set out to be fair and direct with small-scale producers of everyday consumables. Their first relationship was with small-scale coffee farmers in Colombia. The social impact portion of their purchase price has been funding education for farmers’ children since Level Ground’s inception. For them, it’s been rewarding to see children go to school, become educated, and return to their communities to work as Doctors, Agronomists, and Social Workers. 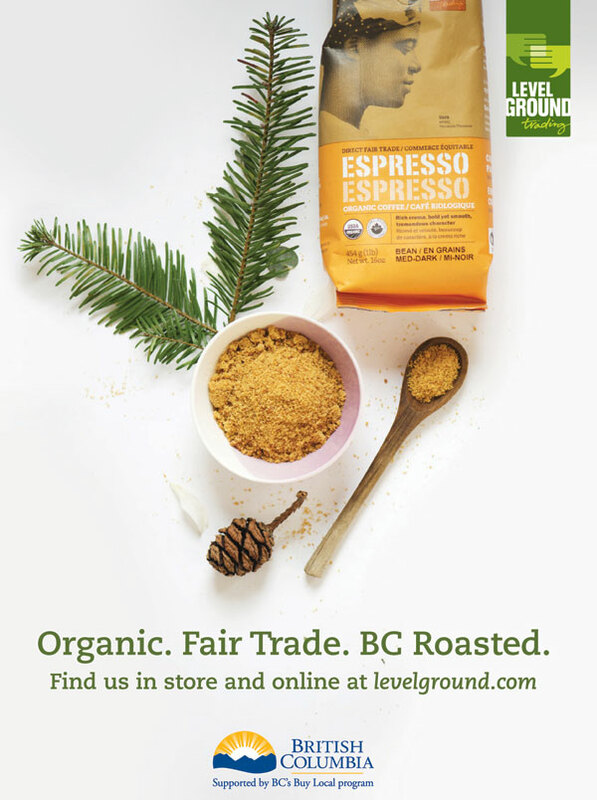 Level Ground’s work didn’t stop there: soon other Fair Trade relationships followed. Today, they import the annual harvest of 5000 farmers in 10 countries trading coffee, tea, dried fruit, sugar, spices, rice, vanilla beans and coconut oil. Storytelling has always been foundational for Level Ground. Their stories start right on the package. On each package, you will find a farmer face and name. Each farmer is paid for the use of their photo. For Level Ground, it’s one more way they can provide transparency. But, what does this practice of Fair Trade mean for consumers? It’s simple: quality. When you pay farmers a fair price, they save the best for you. Level Ground goes directly to the source, cultivates relationships, and receives the highest quality products in return.